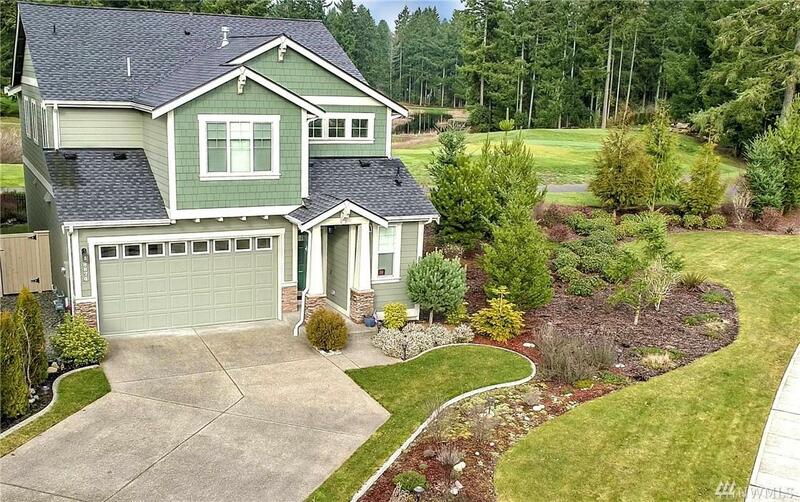 Fabulous home sited on the 18th tee with panoramic views! 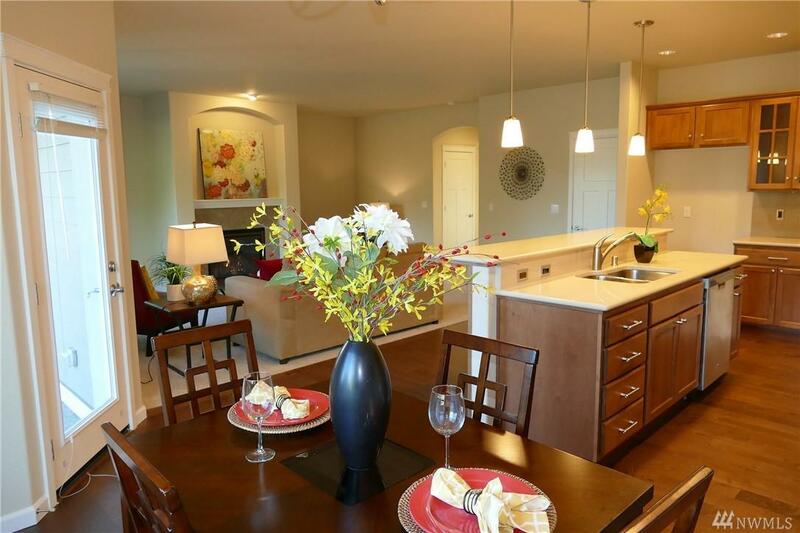 This 2078 SF open concept plan w/4 bedrooms & 2.5 baths lives like new. 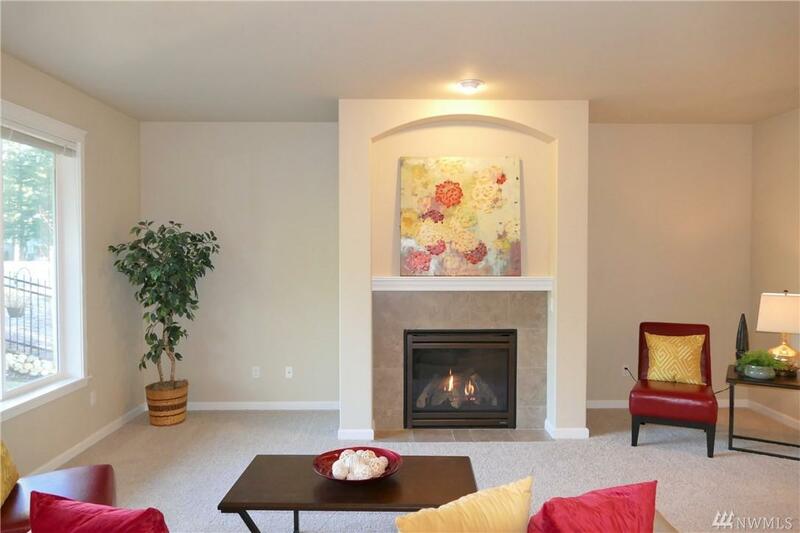 Nicely designed kitchen w/quartz counters, full tile splash, double oven & center isl open to great room w/gas frplc. A/C, hardwoods through entry, kitchen & dining. 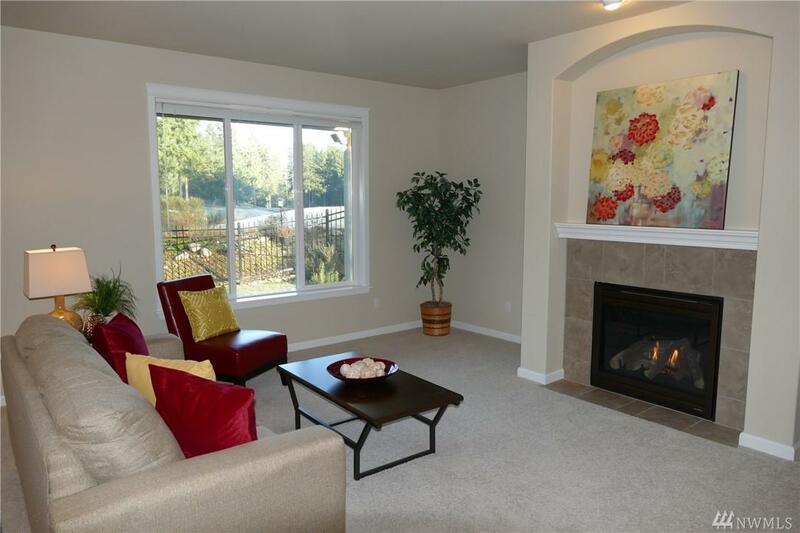 Upper level master suite w/5 pc bath, tile floors, soaking tub & dual sinks. Fully fenced back yard, corner lot, awesome covered patio to enjoy the views, extra long driveway great for overflow parking!